Voice control is on the rise, with everyone shouting commands at Alexa, Siri, and the Google Assistant. But sometimes the faster option is still manual controls. 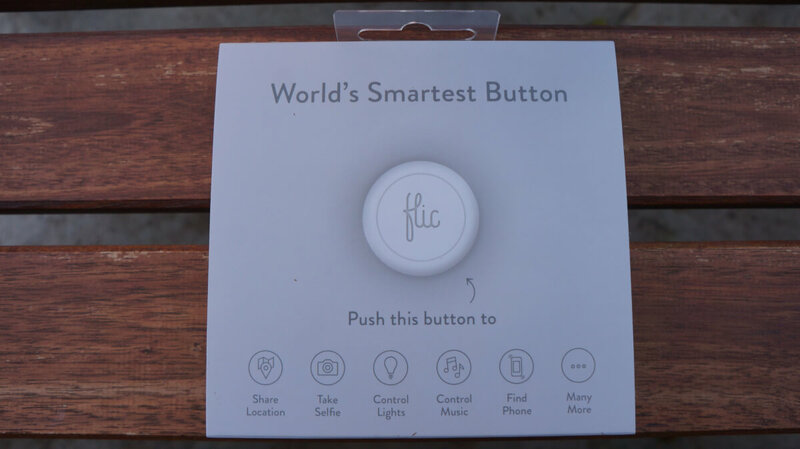 Flic is a tiny smart button providing just that: custom controls for smart devices and tasks. While its Amazon reviews are less than stellar, I wanted to give it a try and see how it worked first-hand, which is why I wrote this Flic review. With voice commands, you have to frustratingly repeat “Alexa, turn on the lights” until she gets it right. It makes you wonder why you don’t just walk over and flip the light switch. Flic can control your smart devices using a Bluetooth connection to your phone. I wanted to test out a smart button because it’s really the best of both worlds, combining tangible controls with smart home integration. Flic has a beautiful, small design and a reasonable price tag. When I opened the box, I was surprised at how simple the packaging and product was. Just a little button and attachment clip, with brief instructions on the lid of the package. Connecting with Flic for our Flic review was a breeze. I downloaded the app, followed the few steps to connect the button to my phone, then used the app to customize which actions I wanted to use. To add an action, you just click on the little plus sign and customize the action. For smart home controls, you will need to login to the third-party account; so to control your Philips Hue lights, you need to login to your Hue account. I tested out 18 of Flic’s actions for this Flic review, including those designed for smart home integration, phone controls, and safety. Here’s how the testing went. With this option enabled, clicking the Flic will sound an alarm on your phone so you can easily find it. Customize the volume and type of sound, then just click Add. I recommend using this with the Hold action so it isn’t accidentally triggered. Integration with LIFX smart lights was very to set up. Login with your LIFX credentials, then select which lights or scenes you want to trigger using Flic. The button can control one or multiple lights, and it can also turn them on to a custom color, its current one, or a random color. The random color option was fun for my toddler, but it’s worth noting that it turns on the lights in its previous color before switching it over to a random one. 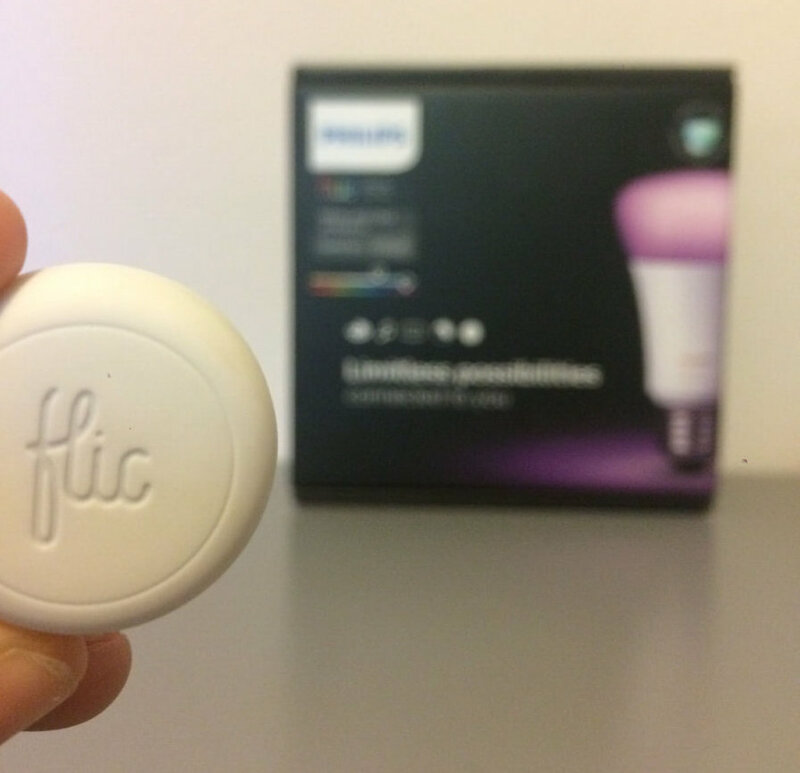 In our Flic review, smart light controls were our favorite action to integrate. This is a very cool integration. Next time you want to take a family photo, you don’t need an awkward selfie stick or a timer on your phone. Just set up the camera, and click your Flic button for an instant picture. Flic can’t launch your camera for you, so if the camera isn’t open, you will get a notification to open the camera to take a picture. 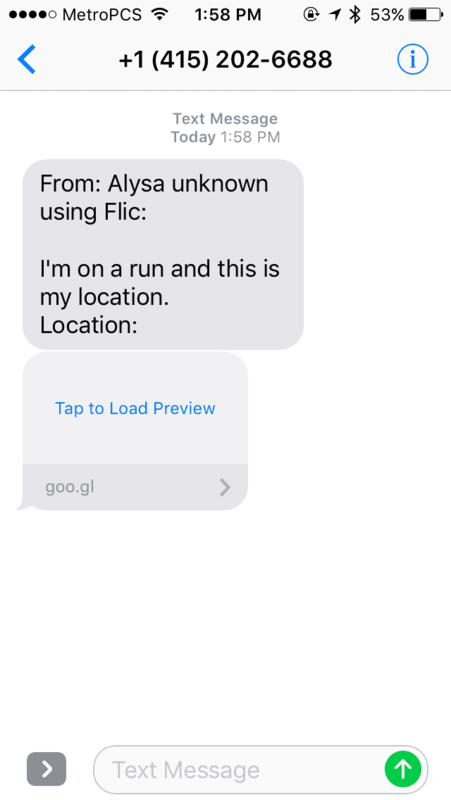 Since iOS has security limitations for sending text messages, Flic uses the service Twilio to send texts. This is super inexpensive, since each text costs 1 credit and 30 credits are included. You can purchase 20 extra credits for $0.99. When I tested the location sharing, it worked instantaneously and was very accurate. I will definitely bring Flic on my next run around the block in case I get hurt or need to send an alert to family members. You can also set it to alert multiple people at once and edit what the text message says. Set an alarm time in the Flic app, then simply turn your alarm on at night with the click of a button. You can set the Double Click function to snooze the alarm. There are also stopwatch and timer features, which could be ideal for specific activities like running or cooking. After logging in with your Wink credentials, your shortcuts are automatically loaded into the Flic app. Choose which shortcuts you want to control with one or two clicks, and hit save. The fact that Wink and Flic work together opens up a lot of options for the tiny smart button, since it can work with the Wink family of devices, from Canary to Ring doorbell to Arlo and more. Pressing on Flic can play selections from Apple Music, whether it’s specific albums or a playlist of your choice. It takes a little time choosing the music you want to play, but once it’s set it can work as a quick play button for some of your favorites. This was one of the easiest to set up. The app quickly displays all nearby devices for casting. Select the device you want to cast to, then choose an action like toggle play, next, previous, skip, or change volume. One convenient option would be mounting a Flic button near your couch where you watch TV. Then you could set different actions for controlling the Chromecast using one or two clicks or the hold function. While it’s technically still marked as Beta, users can integrate Spotify into their Flic, having certain playlists or tracks start when clicked. There is also the option to toggle play or skip to next or previous songs. VLC allows you to stream your media library, but it does take a minute to setup since the IP address, Port, and password are needed. You’ll need to login to your VLC client and see the Preferences for this information. Once it’s up and running, the VLC actions can work similar to Chromecast for pause or play. You could install one Flic button dedicated to playing music and controlling the volume. One click to play, two clicks to turn the volume up, and holding to the volume down. The volume control also allows you to have it jump to a specific set volume when you click. The Philips Hue light with Flic works very similar to LIFX. After logging in, you can set which devices or scenes you want to toggle to specific or random colors. Whether you use LIFX or Hue, using the included mounting strip to stick Flic next to your traditional light switch can add smart functionality in an inexpensive and simple way. Type in an address in the app and when you click Flic, it will automatically navigate your phone to that location using your default GPS app. By logging into your Gmail account, selecting a recipient, subject, and body, you can pre-write an email that is sent every time you click on Flic. A few uses I see for this include when you are headed home, when you need to send a reminder, or when you need to send a loved one a note. Send a Slack at the click of Flic. This functions similar to sending a Gmail. Whenever you finish a task or have something to report to your team, you can have a message sent to specific channels when you click on Flic. Both Slack and Gmail were very reliable and sent instantaneously when tested for our Flic review. I like this feature for work or tasks around the house that need a counter. When enabled, you can click Flic to count the clicks and get an accurate count. I recommend using this for the single click action because it’s easier to control and get accurate counts. Note that this feature is under the Advanced category in the Flic app. Other smart home shortcuts you can integrate: UberX, Sonos, Lightify, Samsung Multiroom, WeMo, Bose, Ecobee, and Harmony. There are also games like fart generator and a Flappy Bird knock-off and phone controls for iBooks, lock screen, or hanging up a call, in addition to fitness wearable integration like Strava and Jawbone. I’m surprised by the negative reviews for Flic. I didn’t have any issues at all during set up or using Flic. It’s worth noting that the app and Bluetooth both have to be running or else the Flic button won’t respond. This might be a negative of the Flic device, but as a user you just get used to keeping the Flic app running and making sure there are no task killer apps stopping it. If you want multiple actions to happen with one click, then you will integrate Tasks. When you get home, one click of Flic will change your thermostat, turn on the lights, and play music through Sonos. Overall, my Flic review found that the device is worth trying because of its low cost and flexible smart home compatibility. Its three different controls mean you can use one Flic for totally different purposes. It is affordable enough to try, especially considering many smart home products cost much more. I see smart homes having several Flic devices throughout the house: one by the door for after work routines, one by the bed for alarms and bedroom controls, and one for working out or keeping with you on-the-go. It’s great for those without smart phones, like babysitters or kids, but across the board it just makes your smart devices easier and faster to control than navigating to the different apps. That’s our Flic review. Have you used the smart button? Let us know in the comments how it worked. I’d like to activate/deactivate the voice control aspect of google home (or alexa). Could you give that a try? Click to activate, hold to deactivate, double click to keep it active for a certain amount of time. That way it’s not listening in all the time. Do you think that would be possible? It would certainly give a lot more control for people who feel privacy is being breached by them listening all the time.